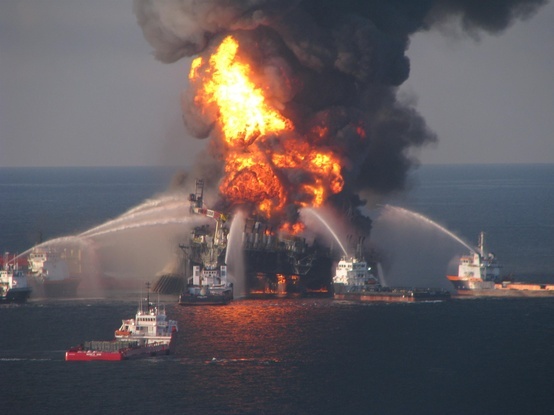 The Deepwater Horizon oil spill (also referred to as the BP oil spill, the BP oil disaster, the Gulf of Mexico oil spill, and the Macondo blowout) began on 20 April 2010 in the Gulf of Mexico on the BP-owned Transocean-operated Macondo Prospect. 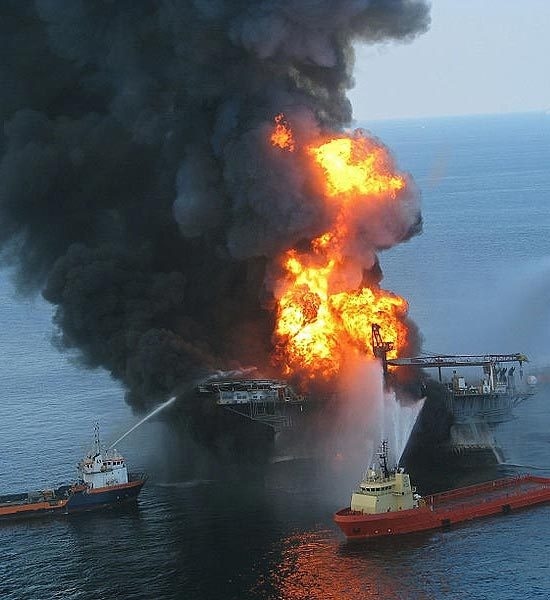 Following the explosion and sinking of the Deepwater Horizon oil rig, a sea-floor oil gusher flowed for 87 days, until it was capped on 15 July 2010. 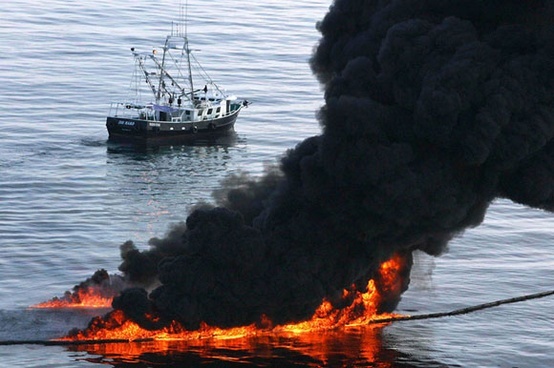 Eleven people were never found and it is considered the largest accidental marine oil spill in the history of the petroleum industry, an estimated 8% to 31% larger in volume than the previously largest, the Ixtoc I oil spill. 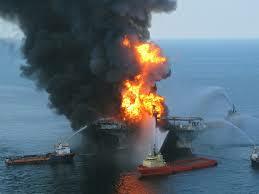 The U.S. Government estimated the total discharge at 4.9 million barrels (210 million US gal; 780,000 m3). After several failed efforts to contain the flow, the well was declared sealed on 19 September 2010. Reports in early 2012 indicated the well site was still leaking.